The bus ride from Chiang Mai to Chiang Rai follows a scenic road that meanders through some beautiful green and hilly landscapes. 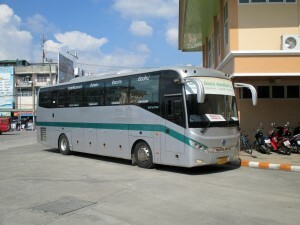 Green Bus is the only bus company operating the Chiang Mai to Chiang Rai Bus route from Arcade Bus Station (Terminal 3). Its ticket selling counters are located on the left side right after the main entrance gate. - V Class Bus (24 or 30 premium seat bus, Air-con, Toilet on board) = 258 THB - Duration / Travelling time 3 hours. - X Class Bus (40 seat bus, Air-con, Toilet on board) = 166 THB - Duration / Travelling time 3 hours 20 minutes. 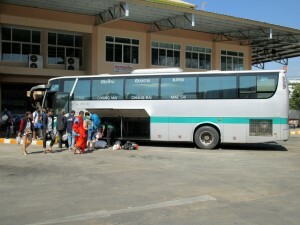 - A Class Bus (48 seat bus, Air-con, No Toilet) = 129 THB - Duration / Travelling time 3 hours 30 minutes. 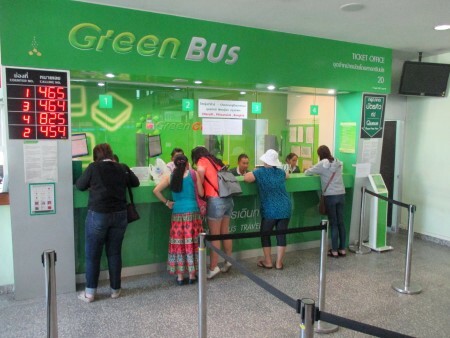 Tickets can be bought directly at the Green Bus counters at Arcade Bus Terminal 3 or at one of the many ticket selling counters found in Chiang Mai. - Terminal 1 (Old Station) which is located right in the city centre. 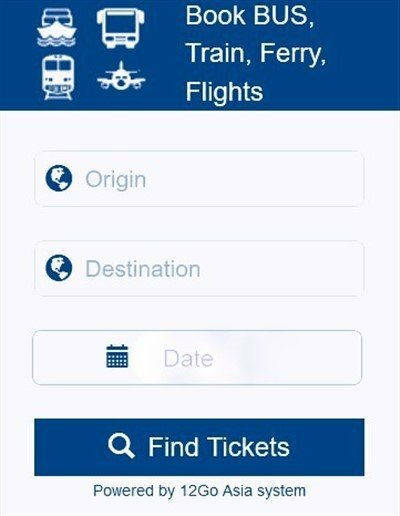 - Terminal 2 (New Station) which is located just a few kilometres away from the city (off the Super Highway). 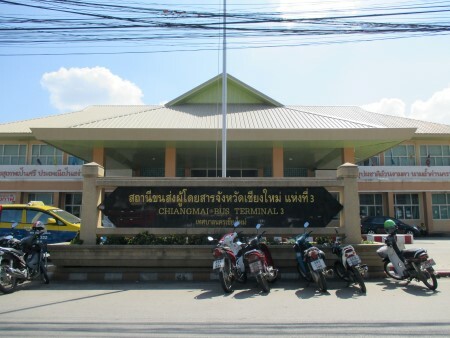 Usually buses coming from Chiang Mai stops first at the Terminal 2 on their way to the Terminal 1 but don't worry if you end up getting off at the Terminal 2 as you can go to the city by Songthaew or Tuk-Tuk for just 15-20 THB.